Last month, the Reserve Bank of Australia (RBA) cut the official cash rate for the second time in 2016 and the official cash rate in Australia now sits at a record low 1.5%. So why do interest rates move up and down over time? The RBA uses changes to interest rates as a way to implement the decisions they make on how to better manage the country’s economy. This is also referred to as their “Monetary policy” decisions. Put simply, the RBA will often decrease interest rates in order to stimulate or grow the economy, or they will increase interest rates to try and reduce growth. The recent decision by the RBA to cut rates was designed to encourage more consumers and businesses to spend money. For some this move by the RBA to cut rates has sparked concerns that Australia is heading into recession (which is defined as two successive quarters of negative growth). 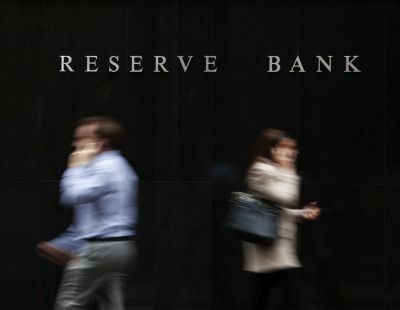 However, the RBA have indicated that the decision to cut rates was due to low inflation and the Australian Dollar being valued higher than what they would like to see. To put things in perspective, the decline of our interest rates has been gradual since 2008 but interestingly, Australia hasn’t been in a recession for 25 years. When the rest of the world suffered during the Global Financial Crisis in 2008, Australia’s economy managed to resist a recession due to a large extent by the RBA’s ability to cut interest rates (six cuts between August 2008 and April 2009 led to the interest rate dropping from 7.25% to 3%) and subsequently help stimulate the economy. Whilst low interest rates are great news for borrowers, it’s not such great news for people saving with no mortgage and retirees alike as the interest rates and returns on cash savings and term deposits also usually suffer; however, something to note is that several financial institutions have decided to increase their term deposit rates in light of the recent interest rate cut, which may have been done to ease concerns by savers and retirees and/or to attract new deposits. Many people believe that low interest rates may be here to stay but a move back to “normal” interest rate levels (e.g. 5.5%-6%pa +) could have a significant impact on your spending and your ability to make repayments on your personal debt, credit cards and home loans. This interest-rate-risk may pose a threat to those people who do not have access to surplus cash-flow or cash savings to support any interest rate increases particularly if interest rates move back toward “normal” levels. You can check out the impact that interest rate rises would have on your budget by using our Loan Repayment Calculator.